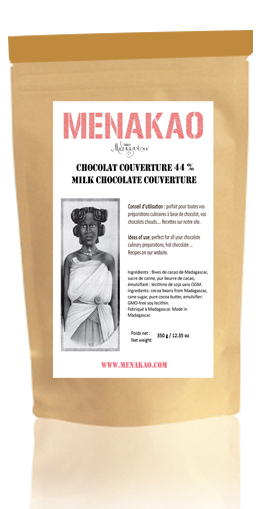 This is a 340g bag of milk chocolate couverture. This is a rich and fudgy couverture with a flavour that comes alive with a burst of vanilla, red fruit and citrus notes. Although that fruity edge is typical of cocoa from the island of Madagascar, it’s unusual to find it in a milk chocolate. This is perfect for a variety of uses in the kitchen.